The ambience of your yard has become a spooky zone for you for the last few days due to wasp infestation. As soon as you step out, you see wasps fly in front of you, leaving few stings on your skin. The nests of wasps are on the way to your home. Therefore, when you pass by the nests of wasps, the flying insects think that you will be harming their nests. This is the reason the pests sting u as a sign of attack. The wasps’ population seems to increase in the winter season. The prime reason of taking shelter in your indoor space is to shield themselves from the cold waves in winter months. It becomes difficult for wasps to stay in the nests in the outdoor zone during winter season. The flying insects are on the lookout of a new nesting site which has a warm ambience. Your house is the ideal nesting site for wasps. The nest of wasps looks like a football. A huge colony can reside inside the nest. The negative side is that wasps can make nests on the surface portion of objects. Removing the wasp nest is not a job of yours and you should never try to exclude it. Leave the job of removing the nests of wasps on our skilled pest team. We have a highly trained professional who is expert in removing the wasp nests. 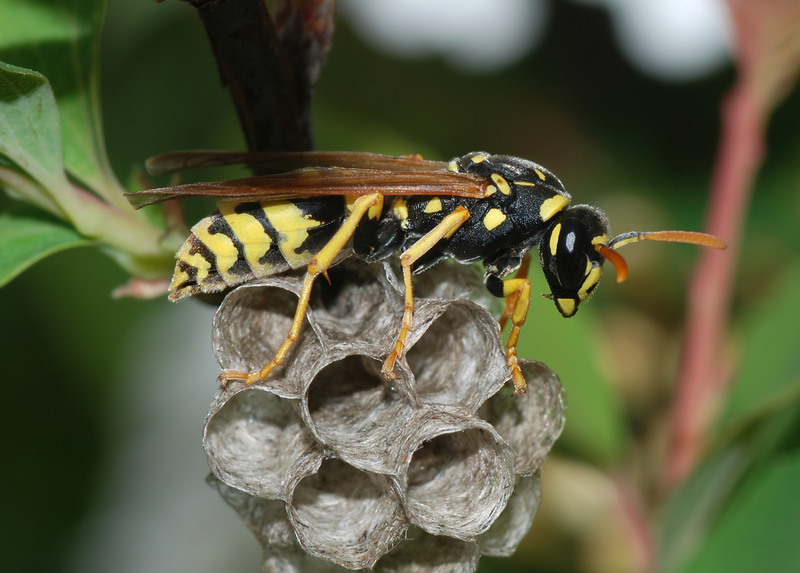 In our wasp pest control Perth solutions, we will ensure to eliminate the wasp nests and wasp pests in a professional way. Which wasp species are dwelling in the location of Perth? The house owners and business owners who are the inhabitants of Perth will probably have the infestation of wood wasps, ground wasps, paper wasps, red wasps, solitary wasps, social wasps, parasitic wasps, great black wasps and mud dauber wasps. Wasps are known for their aggressiveness. They either dwell in colonies or reside alone in their nest, depending on the species of wasps. The social wasps are always found with a huge colony. The solitary wasps are always found to be residing alone in their nests. Some wasp species are very aggressive in nature. This can be seen by the stinging nature of wasps. Whenever the wasps feel that their nest is in danger, then the nasty flying insects leave stings on human beings. One of the effectual methods which our clients take up and we recommend is to have wasp control services. We have a walk around your home and surroundings to see where the wasp nests are located and how large the infestation has become. Depending on the breeding size, we implement our eco-friendly wasp services at the breeding sites. Our exterminators take careful steps while removing the nest from the nesting site. We also make sure that the nests are exterminated properly and wasps find your territory less attractive.